In his book, Secrets of the Lost Mode of Prayer, Gregg Braden shares one of my favorite stories about accompanying a tribal shaman on a rain dance. He expected a big production of music, costumes and dance. However, he was quite surprised by what he saw. The Shaman walked alone to an area marked with stones. He quietly walked around the perimeter for a moment, stopped and closed his eyes in a quiet, meditative state. After a short time in silence the Shaman said he was finished and he was ready to go to lunch with Gregg. Gregg was surprised at the brevity of the ritual and said to the Shaman “I thought you were going to pray for rain”. The Shaman said “Not pray FOR rain, but PRAY RAIN”. He explained that he “prayed rain” by imagining and feeling the rain landing on his skin, sensing the moisture as it collected on the dirt beneath his feet, smelling the sweet and fresh fragrance, hearing the pitter patter of the drops as they fell, seeing the dewy wetness upon the foliage and watching it fall from the sky. He felt it. He saw it. He lived the experience with every minute detail all within his own mind and heart. About an hour later, while Gregg and the Shaman were having lunch, the sky opened up and the much-needed rain fell to the ground. I love this story because it so clearly demonstrates the importance of “acting as if.” The Shaman felt the rain, gave thanks for the rain and then it rained. In the chapter on “Living as If” in The Soulmate Secret, this is the same technique I discuss. Feel what it feels like to be living your life with your soulmate. Experience the love, the joy, and the fun you will have together. Then give thanks and gratitude to the Universe/God/Goddess/All that Is for delivering to you your perfect right partner. When you meet your soulmate, do you know it pretty much right away, and if things go wrong, is he then not your soulmate? How do you know, if things seem great and then fall apart? I have a situation that is pretty unique, and i’m not sure what to make of it. I am getting mixed signals and even though i am in my 40’s, i don’t know how to navigate this. Does the path of true love always run smooth if the person is your soulmate. I don’t know whether to give up or wait it out. Thank you so much for your very important question—you certainly are not alone with these thoughts and feelings regarding your loved one. I would lovingly suggest you navigate this from an open heart and trust the answers will be provided for you. Your concern and doubt might originate from your ego which naturally tries to protect you— So please enlist you’re amazing intuition to help you gain some clarity on these “mixed signals.” Your intuition is truly the best “tool” in your “toolbox” to expand your awareness, receive deeper insights and discern (from the heart) so as to hopefully grow the relationship, heal the relationship or at the least understand from a place of love and not resentment, despair or anger that the relationship isn’t serving the two of you. Lynn, lets give it a try—close your eyes and focus on your heart for a few minutes and actually “feel” love been showered upon you from your beloved, a pet, source, God whatever and whoever will give immediate “goosebumps” and then answer these questions. Are you inspired when your with your beloved? Do you feel healed? Do you feel safe and secure? Do you feel renewed? Are your fears dissolving? If your “feeling” good about what comes up for you then you’re truly on the right path to a healthy authentic sacred relationship. If things are clouded and you haven’t raised the expectation bar to high for your man then be honest with yourself and your beloved and take the steps to go your separate ways. Lynn, all relationships (Soulmates included) are never smooth all the time but if you live from the heart I promise that you will feel filled up more often and the turbulence will be minimized. I think with the help of your intuition you’ll never have to ask yourself whether you have to “give up” on the relationship or “wait it out.” The answer will be clear and come from within—you’ll just want to “dive in” for more BIG LOVE!!! I have been divorced for nearly ten years from someone I really loved me but constantly cheated on me. I have been on a spiritual path for many years now, I have done affirmations and made vision boards but in spite of my best efforts to “get out there” and meet someone new nothing ever seems to happen. What do you suggest? As I sat in the dark theater, waiting for Kate to snap out of her misery and say YES to this man who was taking a stand for her, I realized that Kate had just said out loud the thoughts so many singles have said to themselves. That love is just too hard and at some level accepting disappointment is EASIER than taking a risk for love. Evelyn, right now you get to make a choice. You can choose to give up on love or you can decide that you deserve to find your soulmate and create the life of your dreams with him or her. If you think it’s too late consider this: I did it at age 44. My mother-in-law Peggy did it at age 80. Come on, what are you waiting for? Start manifesting your soulmate today and add more love to the world. Three years ago I met someone who I strongly believe in my heart is my soulmate. We are engaged and have lived together for the past three years. I discovered he cheated on me and I told him to leave the house. He has grovelled, begged for me to take him back and acknowledged that it was a terrible mistake. My question is how can a soulmate cause so much pain? How can someone I love so dearly do this? Part of me wants him to come back, but the hurting part of me wants to let go. I have been honest with my thoughts and let him know where he stands. He asked me today what can he do to regain my trust and have me back? Hope you can clear my mind a bit. Totally confused here. Thank you for sharing your feelings regarding your love relationship. It takes a tremendous amount of courage and heart vulnerability to ask the difficult questions and process these important issues. If we may, we would love to ask you a few more questions in hopes of you gaining more insight instead of assuming we have the answers. You said that in your heart and intuitive guidance he is your soulmate, but do you feel a soulmate would cause you so much pain? Do you feel a soulmate would have to expend so much energy defending his or her actions? Do you feel like he has provided you a “soft place” to land? Has the relationship been healing and nurturing for you? Were you inspired by his devotion and unconditional love for you? Has he helped to remove your fears or support your aspirations? These are important questions for you to answer from your heart. Your answers will help you determine if he has served you and your relationship at the “Soul” level. We have always honored and respected loving relationships that can work through these very difficult issues with integrity, forgiveness and the most important ingredient– trust. Every one of us deserves a healthy and vibrant relationship with the one we love but you specifically asked us to reflect on your questions from a soulmate perspective. Hopefully our response will help you with your confusion We will be sending lots of love and prayers to you and your partner no matter what road you take for the two of you. Betsy, just know you have most likely helped many people who are in a similar situation you currently find yourself in and maybe this can assist them in gaining some clarity and insight into their own loving relationship. I have been in a relationship for nearly five years. I feel very safe, comfortable and care deeply for this person. He loves me unconditionally and he is there for me more than anyone I have ever been with. The problem is that I don’t feel like he is my “soul mate”. How do I know if he is the ONE? First of all Virginia, we would like to take this moment to really honor what you’ve manifested in your relationship over the last five years with your partner. Those wonderful attributes of safety and comfort are extremely nourishing and extremely rewarding. And for you to care for somebody as much as you do and to have somebody LOVE you unconditionally are a blessing and certainly a solid foundation for a LOVING relationship. To assist you with your question, “How do I know if he is the ONE?“, we would ask you to please shift your attention and feelings to your heart regarding yourself and your partner. If it helps focus your breath and the experience of something or someone you feel infinite love for into your heart for 10 seconds or so and then send that love, care and appreciation to yourself and your partner (The Institute Of HeartMath refers to this effective technique as Heart Lock-ins). This will add buoyancy and regenerative energy to your entire system as well as to allow you to get in touch with a perspective of greater clarity and expanded awareness. Now, if you’re comfortable, please look and “feel into” your partner as “Soul” or as some might refer to as “essence.” With this deeper recognition we have a unique opportunity to realize (and feel) that our relationship can potentially be unconditional and limitless. Connecting with each other’s Soul or essence gives us the sacred opportunity to reveal our deeper selves and therefore communicate our deepest fears and insecurities to each other. Communicating those vulnerabilities from our hearts feeds us, supports us and nurtures our ability to love our partners and ourselves more than we ever imagined. It will also help you (with honesty and courage) to look at the possibility that you have projected your own fears, judgments and unfair demands and expectations onto the relationship. If you have found this to be true please be easy and gentle with yourself but use that reservoir of love you have been building up through your Heart Lock-ins and direct that frequency of love to dissolve those energies around your fears and anxieties as well as “take out” some of the significance of those judgments and any feelings of anger and despair if that might be weighing you down. You might begin to see the issues and dynamics impacting your relationship in a different light and therefore respond quite differently to each interaction or potential conflict. There is a good chance you could even see your partner in an entirely different light as well—-maybe even as THE ONE!!!! Disclaimer: Arielle Ford, Brian Hilliard, the Big Love column and its publishers assume no responsibility for any consequence relating directly or indirectly to any action or inaction you take based on the information, services or other material related to this column. 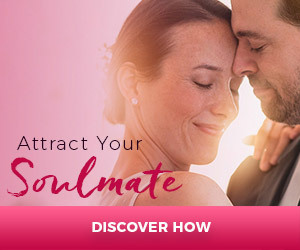 Since I read the Soulmate Secret and did the exercises to heal my past relationships and cut the energetic cords to past lovers, four of my old boyfriends and my former husband have called wanting to reconnect with me. What’s up with that? Congratulations! The inner healing you are doing is working and the energetic dynamic is shifting. The art and majesty of your rituals and powerful intentions is literally transmuting the energetic density that was weighing down the possibility of unconditional sacred love and abundance in your previous relationships. These men are now actually feeling different about themselves and something new and different about their earlier union with you. This doesn’t mean that you are totally free to re-engage in these relationships (unless you suddenly realize that one of them is your soulmate) but it does mean that you are freed up to seriously discern, from your deepest heart, and gain clarity on the issues that previously impacted these relationships. As you continue to do the inner and outer work of manifesting a soulmate, opportunities foe more and more healing will spontaneously arise. Enjoy the process! I have been married for ten years. Three years ago I began a serious spiritual path to discovering the awesome abundance of possibilities in the spiritual world. I have asked my husband to join me on this journey. I have told him that I love him and I long for more romance and spontaneity. His response was very negative and he says I am forcing him into something he is not comfortable with. He surfs, windsurfs and plays guitar and he says that this is way of connecting to Spirit. Do you think a marriage can survive if one partner embraces the spiritual journey and the other does not? We can feel your pain. So many couples face this challenge. First we want to ask you to do your best to honor your husband’s spiritual path of surfing, windsurfing and playing guitar. Connecting to Mother Nature and all its beauty is a powerful and direct path to God. (or whatever you wish to call it. Remember, we are all riding different vehicles but hopefully arriving at the same destination.) If you honor his path with devotion and respect then it will be easier for him to come around to your request for abundant intimacy and playful spontaneity. As you know, we come into a marriage with different histories, wounds and tools to navigate this wonderful thing we call sacred union. The path is daily opportunity to practice love, compassion, gratitude and fierce grace. Our sense is that the deeper issue for you is not the so much one of shared spiritual path, but some other disconnect that you may want to explore, as a couple, with a therapist or counselor. .